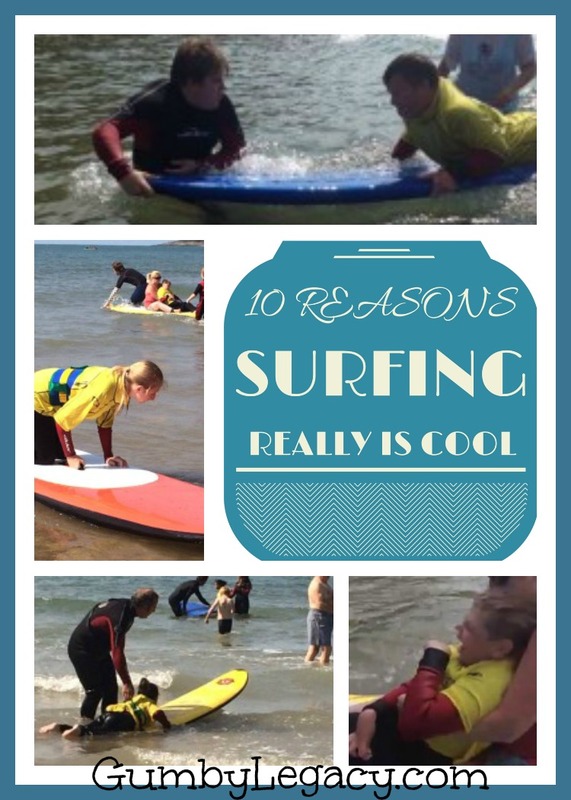 You are here: Home / Projects / Fundraising / 10 reasons why surfing really is cool! 10 reasons why surfing really is cool! Clear blue sea, sandy beaches, hot burning sun and cool, chilled out surfers. You might picture it with longing and think it’s something you could never do. A particularly pointless activity in the UK. Think again! 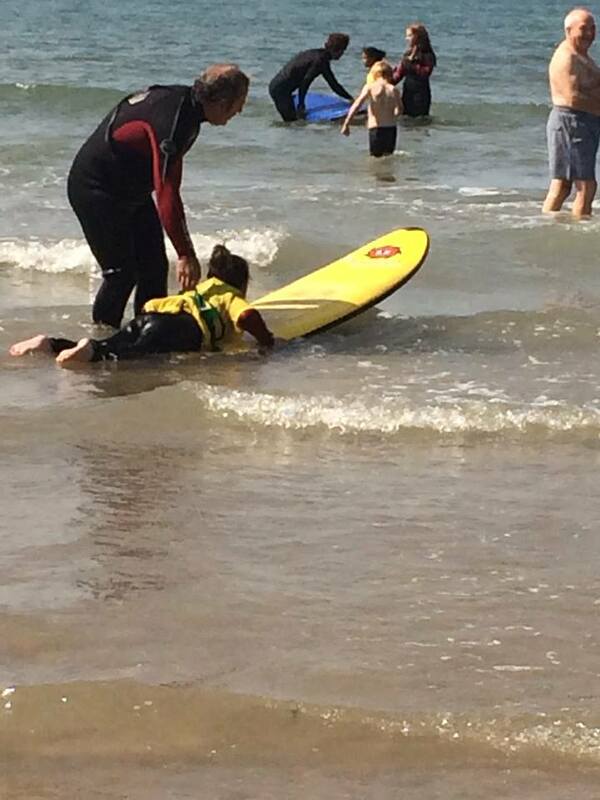 Surfing is accessible and beneficial to everyone! Anywhere! Ben and his dedicated team from Surfability UK CIC are on a mission to provide adapted and inclusive surfing sessions for people with disabilities and learning difficulties. 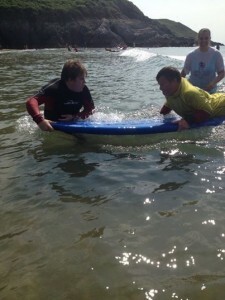 Their aim is to make surfing as accessible as possible to people in our community who have additional needs. Using best practice and special education training and experience, combined with surf coaching, they create an environment which is truly inclusive, unlocking access to the many benefits and fun associated with surfing. Although there is not yet much evidence – based research for the benefits of surfing to people with disabilities and additional needs, as a paediatric physiotherapist with over 13 years of experience, there are many actual and potential benefits to encourage surfing as a therapeutic activity that I can (clinically) reason. 1) Therapy = Fun, fun, fun!! Parents, caregivers, therapists all really want children to be happy and have as much fun as possible while they are exercising and doing their therapy. A child who is having fun is a happy child; happy children work harder than unhappy ones who really don’t want to be doing something. Happy children don’t even realise that they are “working”. Surfing is cool. It’s not something everyone does or can do! As abilities improve and people realise just what they are capable of achieving, self – esteem and confidence increases massively. 3) Steady! Surfing can improve balance…. Sitting, standing and walking are often really hard to achieve for many people with physical difficulties and learning how to balance can be difficult. Physios use balance boards in treatment to help improve a person’s ability to stay upright. A surfboard in the water is just like a large balance board so being on one in any position will help to work on improving a sense of balance and equilibrium. Bonus: if you fall off, it doesn’t hurt! This is the ability to use different parts of the body together smoothly and efficiently. A person has to work pretty hard to stay on the board in any position. They need to use their eyes and ears (along with some other stuff) to know what’s going on with the waves, other people around them and whatever else, then be able to react and respond with every single part of their body in order to not fall off when the board is moving! Physios are ALWAYS working on improving core strength (in everybody) so this is a biggie. A stable core (strong tummy and back muscles) is really important. Core muscle strength is the basic building block to all posture and movement – as far as muscle activity goes, these kick in before anything else does when you do any activity at all. Basically, a strong core is essential for effective and efficient activity. Using arms to ‘paddle out’, hold onto the board, push up on the board – this all helps to strengthen shoulders and arms. Strong shoulders help to improve hand function and make fine motor skills like handwriting, dressing and using a knife and fork, a bit easier. …and strong legs for everybody involved! Walking or swimming the board out to position, getting on to it and then trying to maintain different positions on it while not falling off, all require the large leg and bottom muscles to work really hard. So, even if a person never manages to stand up on the board, there’s still a good leg work out to be had. Often life can be extremely overwhelming. Surfing can provide great opportunities for developing social and interpersonal life skills. This is best supported by people who understand your specific needs and the place from where you are coming from. Using the right equipment can help make surfing a positive, relaxing life experience. Surfability aim to take away any stress and misunderstanding so that getting on with the important business of communication and social interaction is more likely to happen. Surfing can be quite an intensive physical exercise! Done regularly, cardiovascular fitness will improve and this makes it easier to do more exercise. Then the ability to keep going for longer (endurance) will improve in other areas, like being able to walk further before needing a rest. 10) It’s a BIG WIDE WORLD: LET’S ENJOY IT! Surfing is an activity the whole family can get involved with. It’s time away from TV and game stations which can’t be bad – ‘nuff said! 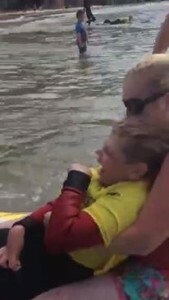 Gumby Legacy aims to bring more children the opportunity to go surfing with Ben and his team. Along with other projects, we fundraise in order to subsidise sessions and are helping to raise awareness of the great opportunity available with Ben. We have so far been able to buy a vehicle for Surfability to take this amazing experience to different beaches, thereby affording many more families this awesome experience. 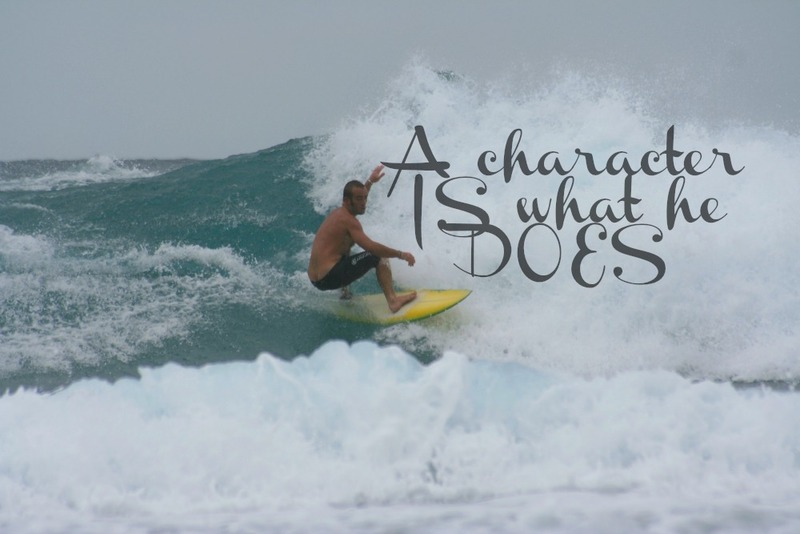 Gumby was an avid surfer and you can read more about his inspirational character here. We have so many children interested in taking part in the surfing but need to raise a lot more funds so if you are inspired to help, please donate something now. Or come to our fundraising, Surf’s Up party happening on the 5th July. Or both. But if you can’t do either of those yet, just sign up to receive our newsletter for updates (I promise not to bombard you) and like us on Facebook.